The booming legal cannabis industry is still forced to do business in cash thanks to federal anti-drug laws and cautious banks, but that may change eventually in California. State Treasurer John Chiang announced this week that he is considering creating a state-operated bank that would accept accounts from legal marijuana businesses. With recreational marijuana now legal in California under Proposition 64, dispensaries and other marijuana retailers who want to operate out of the shadows must pay taxes. But an estimated 70 percent of marijuana business in the state does not have access to bank accounts. That means that dispensary owners and others in the industry have been paying their taxes in cash. Reporters have spotted drivers of sedans and SUVs unloading huge piles of cash in front of local tax offices. "I am in favor of anything that promotes discussion about banking challenges that cannabis businesses face,” San Diego-based cannabis attorney Jessica McElfresh tells ConsumerAffairs. Among the issues they would have to resolve, she predicts, are whether the bank would have a “master account” that is connected to the federal reserve; otherwise, the bank would more closely resemble a Gold Rush-era financial institution that accepts money but cannot wire it to other banks. An easier, more immediate option would be for existing federal banks to simply accept accounts from marijuana retailers. “I think banks are just inherently afraid of having their heads smacked upside by the federal government,” McElfresh adds. The treasury proposal isn’t the only one local officials are floating. 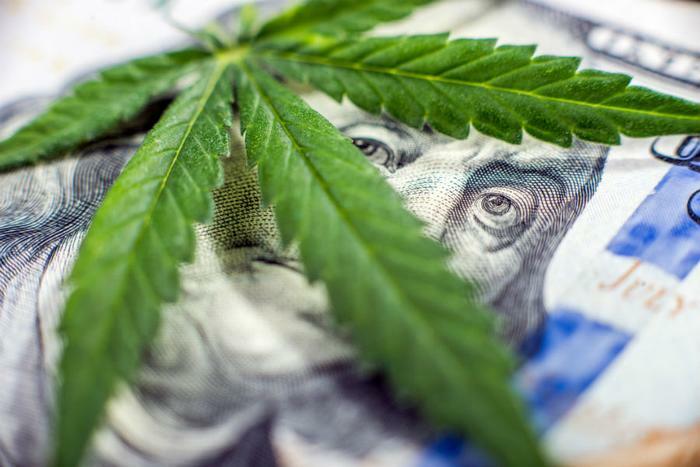 California State Sen. Robert Hertzberg recently introduced a bill that would allow marijuana businesses to access checking and savings accounts at state-run banks. The United States Treasury Department under Obama gave cautious approval to the estimated 368 banks or credit unions across the country that agreed to serve marijuana retailers, provided that the banks agreed to monitor those accounts extra closely. But with Attorney General Jeff Sessions’ apparent interest in cracking down on marijuana, even in states where voters have made it legal, going into business with marijuana retailers remains an unattractive option for banks that are weary of the feds. The marijuana industry in California remains highly profitable, despite numerous financial risks that business owners face. Growers of the crop have had difficulty obtaining insurance, an issue that came to a head when cannabis farmers saw their crops go up in flames during the Northern California wildfires. "It's hard to quantify what the risk is when you have this disconnect between the federal government and the state government," Mark Sektnan of the Property Casualty Insurers Association told ConsumerAffairs at the time. "The current administration has come out to be much more aggressive on marijuana enforcement." Business that initially appeared to operate legally under state laws have also been subject to local police raids. In 2016, San Diego police seized $324,000 in cash from Med-West Distribution, a popular distributor that sold cannabis products to legal dispensaries. The San Diego County District Attorney alleged that Med-West was also manufacturing and selling hash oil, which is illegal under both state and federal laws. But in December 2017, over a year after the raid, authorities and Med-West reached a settlement in which the District Attorney agreed to return the $324,000 to the distributor. In exchange, business owner James Slatic agreed to plead guilty to two misdemeanors. Slatic had been represented by McElfresh, and in a highly unusual scenario, the District Attorney’s office has also accused her of “conspiring” with her client. McElfresh currently faces seven felony charges over the matter. In a move that lawyers say sent chills through the industry, the DA’s office unsuccessfully argued in one court hearing that they should have access to the files on all of McElfresh’s clients. Prosecutors had tried to argue in court that her clients should not be protected by attorney-client privilege due to cannabis remaining illegal under federal law.